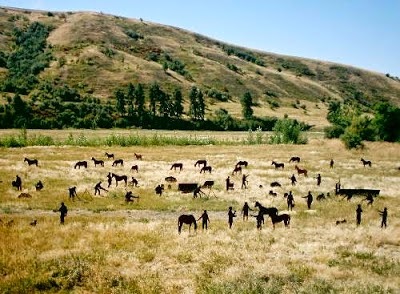 Metal silhouettes of the party of the Lewis and Clark Expedition stand frozen-in-motion in a field on Patit Creek outside of Dayton, Washington. On May 2, 1806 the expedition camped in this spot during their return trip from mapping and seeking a northwest water passage to the Pacific Ocean. A plaque by the road identifies each figure standing in the field and the skills for which they were useful to the expedition during the two-year journey. Salt maker, hunter, violinist, carpenter, and translator were a few occupations etched on the plaque. Having just returned from a seven month journey and getting ready to make preparations for a couple of days in the mountains, I was interested in the supplies that Lewis and Clark carried with them. The field seemed light on supply piles. Meriwether Lewis was charged with drawing-up supply lists and gathering the items prior to starting on the journey. Two tons of stuff was accumulated. The list is intriguing when compared to what I travel with on my journeys. Much of what he took is similar to what I take. With a difference. I could feel quite smug about my much lighter load, particularly when I add in the cell-phone's ability to stand in for the mirrors and also the flashlight capability in place of lamps and wicks. The Lewis and Clark Expedition gathered tools that they expected to need for their trip of two years. Fortunately, they weren't relying on me. I managed to leave these items at home for a two-day trip: the salt, the sleeping mat, matches or a good lighter, the trail mix, the vegetables, and sufficient blankets. Moreover with the fire level rating on "high" at my mountain destination, the forest service had posted the requirement that one had to have a shovel and an ax to be allowed to have a fire in a fire ring. 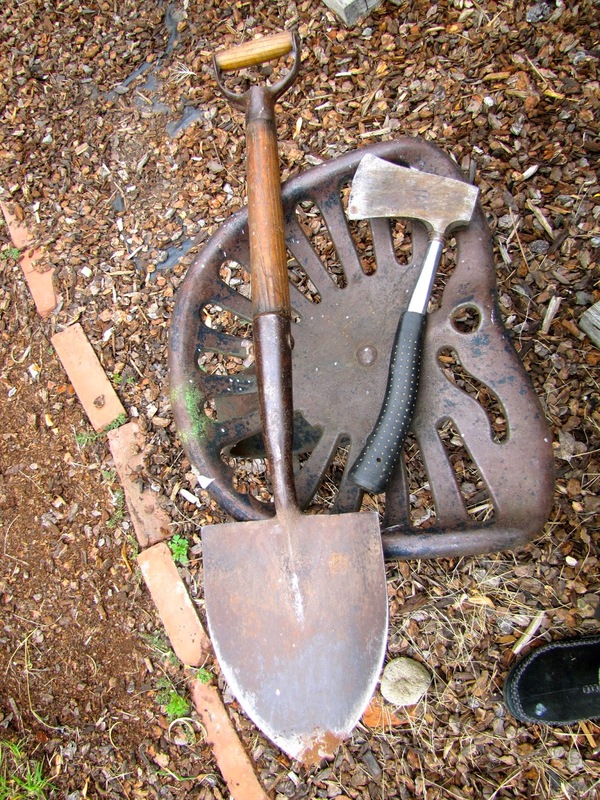 Lewis and Clark traveled with 35 falling axes plus 20 more small falling axes and 2 spades. I couldn't find my small metal shovel, so I took the snow shovel that I bought last winter in Hannibal, Missouri. Only in retrospect did it occur to me how useless a plastic shovel might be in a fire situation. It would have melted. Silly. And the ax. I couldn't find it either, so I brought a similar tool. Well, kind of similar. It had a wooden handle and a metal head. This is a brick breaker. Silly. Fortunately, my friend was along. Art would have been chosen for the expedition for his organizational skills and more level- headed choice of tools. We stopped once at a rather sketchy-looking second-hand lot. As he stood to the side of the tool huckster, Art's subtle head shake sideways and askance look told me that the ax offered with the loose head held on by a single nail that he could pull out with his fingertips was definitely not worth any price. Later, walking into a Lostine antique store (that I promised would be better-organized) brought an admirable response. Art quickly picked out a rough-looking used, but sharp ax with a tight head. Ten bucks. Good deal. After coming home, I kept thinking of Lewis and Clark and their piles of good tools and puzzled over where my good camping fold-up shovel had disappeared to. I didn't find it, but I did find this small shovel with a wooden handle that has traveled with me on a few previous trips. At least it is not plastic! Maybe I should head back up to the mountains, since I am now prepared with the proper tools. Just so long as I don't forget the matches, mat, blankets, trail mix and the salt again, "Silly".